But what about the true 2015 flagships, can a warmed over 2014 model compete? The Samsung Galaxy S6 adopted the metal frame and glass sandwich design used by Sony (and others). 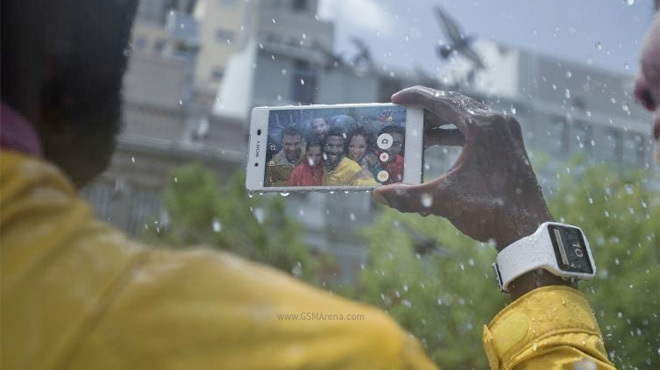 It dropped the waterproofing of the S5 though, so the Xperia Z3+ still has that going for it. The S6 also narrowed the camera resolution gap, while surpassing the Triluminos display in resolution. Also, the homebrew Exynos chipset is proving better than Qualcomm’s current top dog. LG also put a ton of work on the LG G4 camera, which now boasts things like a color spectrum sensor and a wide f/1.8 aperture along with the usual OIS and laser autofocus goodies. The Snapdragon 808 chipset is not as good as the 810 on paper, in practice the Adreno 418 GPU struggles to push full-res images to the large 5.5″ QHD screen. The leather back is a cool option and the arc shape of the phone is fairly unique. HTC barely touched the One M8 design when it crafted the One M9, but at least it has the new 20MP camera and Snapdragon 810 chipset to point to as upgrades. Sony didn’t upgrade much work on the Z3+ either, but it already had a 20MP camera and stereo speakers, plus it did upgrade the chipset to the 810. It’s pretty clear the Xperia Z3+ isn’t Sony’s true 2015 flagship, but that one may not come out until late this year. So, can this stop-gap hold the competition at bay while the Z4 is ready or is Sony just phoning it in?